The recent trade war has unsettled the global economy, but the future of US-China relations depends on a longer-standing political concern: the fate of Taiwan. Taiwan has remained one of the most important and sensitive issues in the political foundation of US-China relations. With President Xi Jinping’s renewed push for Taiwan’s reunification, American intervention in cross-strait relations will only increase friction between Beijing and Washington. Since the end of the 1949 Chinese civil war, Taiwan has been a de facto independent country. 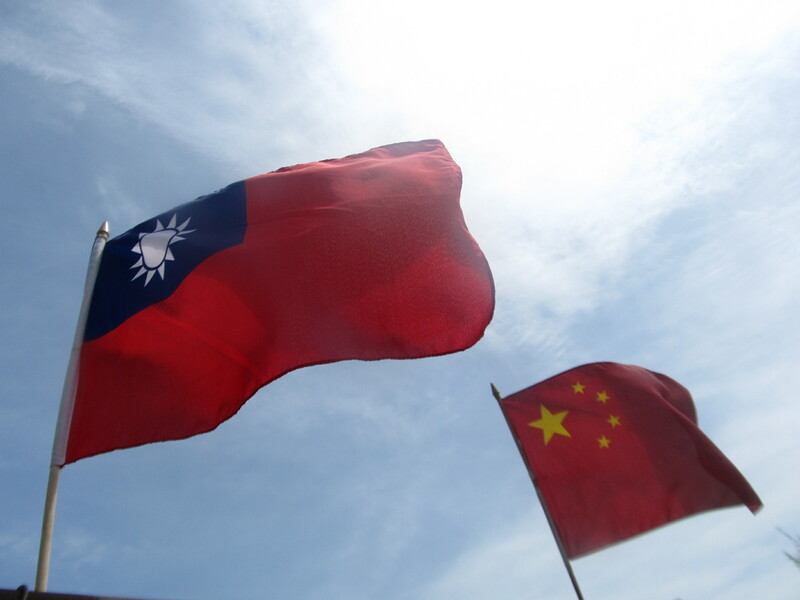 While the island considers itself a sovereign democratic state, Beijing has continued to regard Taiwan as a breakaway province – one that needs to be reunified with the motherland. In 1979, US Congress signed the Taiwan Relations Act (TRA). The law was built on the need for security, peace, and prosperity in the Western Pacific. While US-China diplomatic relations were protected, the enactment of the law cut diplomatic ties between the US and Taiwan. Over the past 40 years, the TRA has served to promote the stability of US-Taiwan relations. It has not only facilitated a unique US-Taiwan relationship, but has played a key role in both parties’ strategy in Asia. Today, the US stands as Taiwan’s most powerful unofficial ally and largest arms supplier. Under the 1992 Consensus, it was agreed upon by Taiwan, China, and the US that the three parties would acknowledge “One-China.” The “one country, two systems” model was born out of this agreement – there would be one China, which Taiwan would be a part of, be it the Republic of China or People’s Republic of China. As to what “One-China” necessarily means, it is still ambiguous as the definition has been left up to the interpretations of each party. The motivation behind the 1992 Consensus was to maintain peaceful and constructive cross-strait relations. There is no official policy enforcing the consensus, but the model is recognized as the status quo. However, Washington has stated that its official position towards the 1992 Consensus is that they have no position. On the other hand, Taiwan’s President Tsai Ing-wen has taken a more hard-line stance refusing to acknowledge the 1992 Consensus altogether. Recently, Xi announced an appeal to the 23 million citizens of Taiwan: “If Taiwan submits to Chinese rule, it would enjoy lasting peace and its own system under a “one country, two systems” model,” referencing China’s relationship with Hong Kong and Macao. He further made the distinction that the different systems would not pose as an obstacle to unification, rather that the model would serve to prevent separatism. However, Xi’s proposal for reunification was met with criticism from Tsai. In response, Tsai accused Beijing of undermining Taiwan’s democratic process and called on Xi to recognize the island on equal footing and to respect its existence. Despite Xi’s push for peaceful reunification, Beijing can put pressure on Taipei by using its power to cut Taipei’s ties with the international community and obtain its remaining allies. Where Taiwan has the advantage is in its relationship with the US. Chinese General Li Zuocheng stated that “The Taiwan issue is an internal matter of China, concerns China’s fundamental interests and the national feelings of the Chinese people, and no outside interference will be tolerated.” These declarations demonstrate Beijing’s unyielding determination towards national reunification, implicitly directing warnings of use of force towards Washington. Moreover, the US Navy has sent warships through the Taiwan Strait three times over the past year. Washington sees no limitations as to what type of ship they can pass through the Taiwan Strait, one of the most heavily militarized flash points in the world. The move was a demonstration of the US’ commitment to “a free and open Indo-Pacific.” Meanwhile, others have considered it as an intimidation tactic imposed on China. Beijing has been sensitive to foreign military activities that occur around Taiwan. Taiwan’s pursuit for independence “has served as the primary driver for China’s military modernization.” On multiple occasions, China has even sent its own aircraft carrier through the Taiwan Strait and flown bombers around the island as a warning to pro-independence forces. Government advisers have warned that escalating geopolitical friction in cross-strait relations are entering dangerous territory. While the US Navy hasn’t ruled out the possibility of sending an aircraft carrier through the Taiwan Strait, Beijing has also been modernizing its own military forces in order to defend their unity. Shelley Rigger, professor of East Asian politics at Davidson College, stated that “The geopolitical dynamics have reduced the threat from Taiwan independence, but they have made US-China relations less predictable.” Any negotiations to de-escalate the ongoing US-China trade war have been further tabled with the looming threat of Trump’s support for Taiwan’s independence. Based on a recent assessment of China’s military power, the US Defence Department’s Intelligence Agency hints towards a full-out attack on Taiwan. If Trump decides to intervene by taking military action, the cross-strait dispute may erupt into what some are calling World War III. Featured image via Wikimedia Commons.